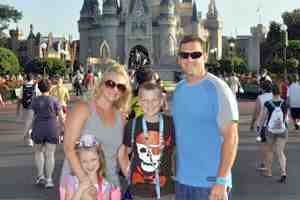 Universal Studios Florida in Springfield: Home of the Simpsons, Across from the Kwik-E-Mart. Hot dogs and assorted snacks. Beverages include Coke products, Buzz Cola, Duff Beer and other Simpson related mixed drinks. 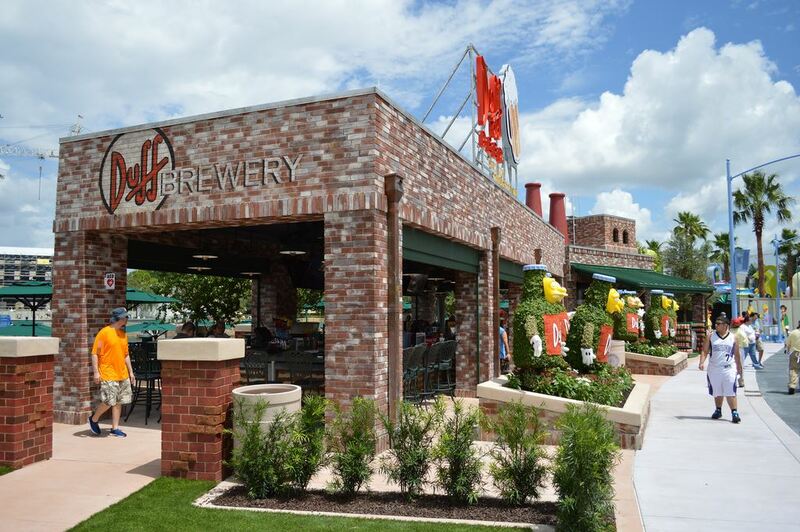 A wonderful addition to the Universal waterfront, Duff Brewery is an outdoor bar area with plenty of seating nearby to relax. 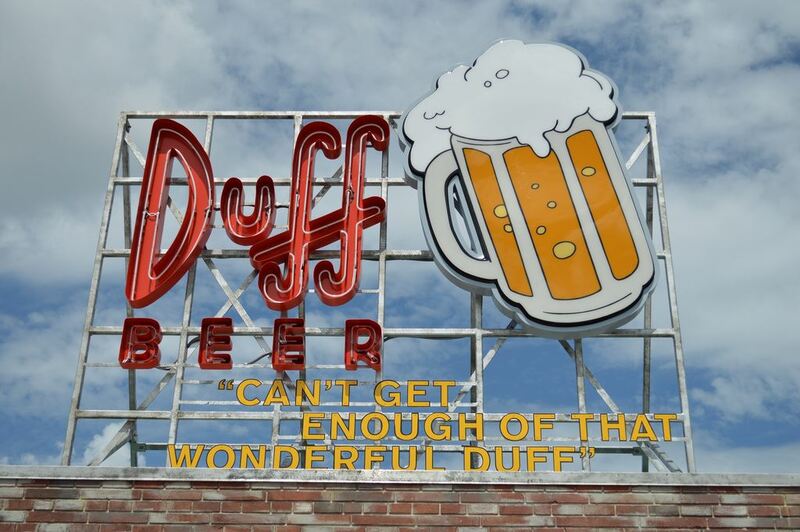 It is part of the larger Duff Gardens, which in The Simpsons television show is a theme park run by a beer brewing company; here it is shrunk into a bar. 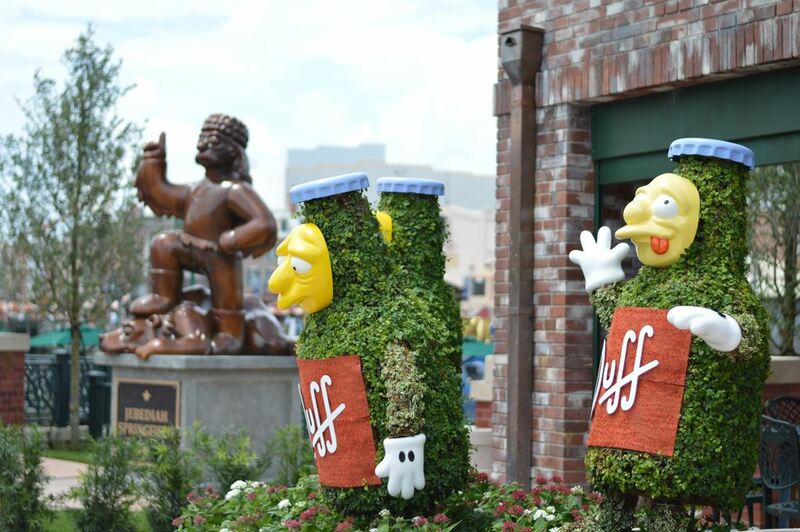 A statue of the hilarious character Duffman is available for photo ops and there are wonderful topiaries of the “7 Duffs,” the mascots of Duff Gardens and a parody of Disney's Seven Dwarfs. Their names are Tipsy, Queasy, Surly, Sleazy, Edgy, Dizzy, and Remorseful. 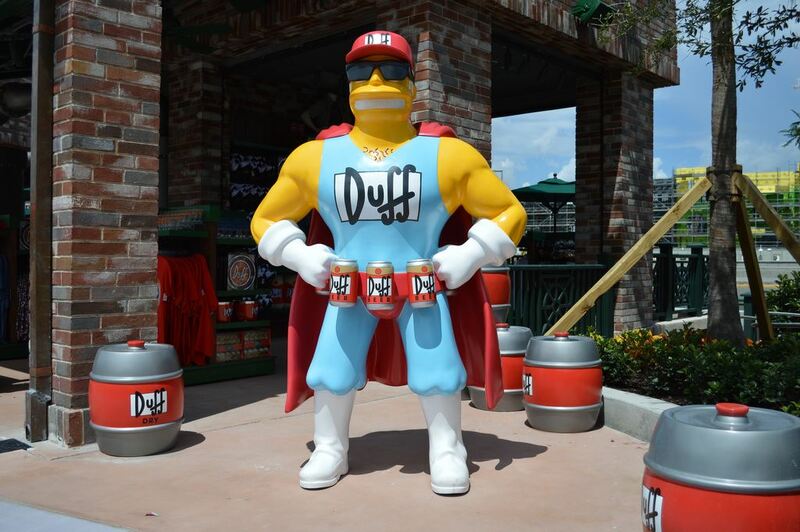 In the Simpsons television show, Duff, Duff Lite, and Duff Dry are all the exact same beer and Duff Gardens at Universal pays a nice tribute to that if you look around. 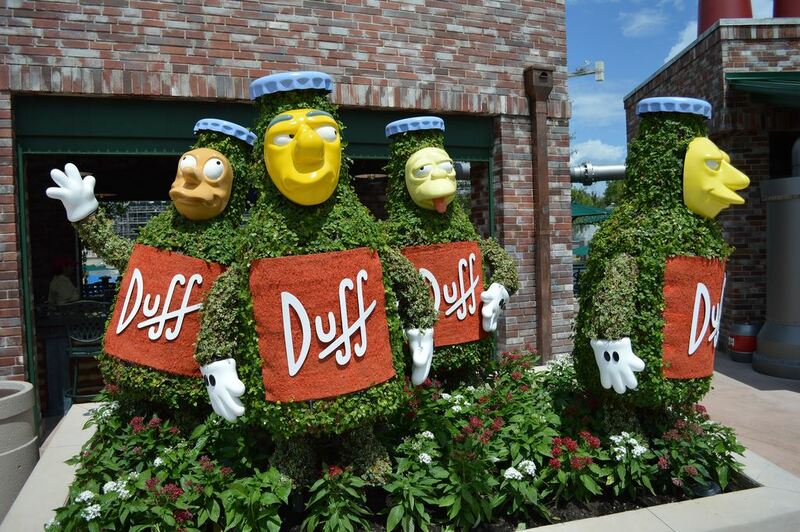 The Duff beers themselves available at Duff Brewery are completely different from each other. 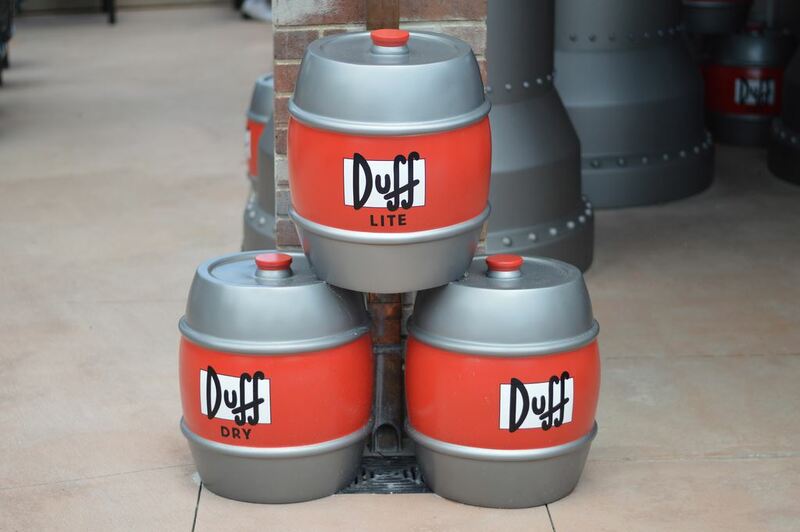 Duff Beer is most equivalent to Yuengling, Duff Lite is closer to your standard light beer like Miller Lite, and Duff Dry is a stout dark beer that can be compared to an Irish stout like Murphy's. All three of these beers are brewed exclusively for Universal by the Florida Brewing Company, who also brew the Hog’s Head Ale in the Wizarding World of Harry Potter. Because Duff Brewery is out in the open and in view of every guest, it can often attract a big crowd, especially on a hot day. There is plenty of seating at the bar and the surrounding area. Order a drink here (the banana Squishee is especially tasty) but in the name of all that is good and holy, don't eat the hot dogs: they've been on those rollers longer than the ones in Apu's Kwik-E-Mart.